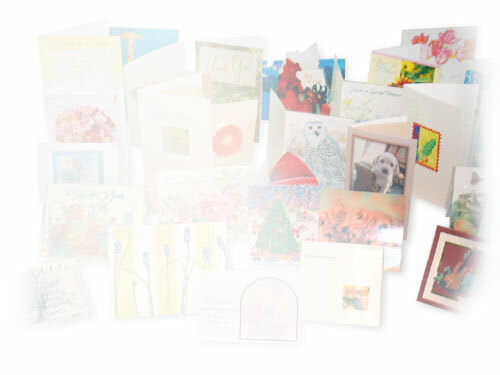 Patients have provided written permission to quote their letters and cards. First names or initials are used to assure patient privacy. One night my heart started beating very fast. I was shaking and my chest felt tight. I got really scared, and I went to the emergency room. This was not the first time that I had an irregular heart beat, but it was by far the worst. The doctors told me that prescription drugs would not work for my condition because my heart went too fast and then too slow. If the condition doesn't get any better, all they can do is install a pacemaker. I felt like I was too young for a pacemaker. I had back pain for seven years. I rarely went more than a week without some level of discomfort. I had a flare up and was in severe pain for two days. I couldn't straighten my back and I shook all over. Not knowing what to expect, I was a little nervous about acupuncture, but Dr. Wu explained what would be done and told me to do my best to relax. Considering my discomfort, she made me as comfortable as possible. During the treatment, the needles were no worse than pulling a hair on your arm. I was able to relax to the point of falling asleep, which was significant since I had not been able to sleep for two days. Dr. Wu woke me very gently. When I awoke, I felt no pain and was afraid to move for fear that it would all come back. As I carefully got off the table and stood, I realized that I was standing straight and in no pain at all. I had a total of three treatments. After the first treatment, Dr. Wu advised that there would be some side effects later in the day. That night, at about two a.m., I had some symptoms of a pinched nerve in my spine and pain down my leg which was gone by morning. That pain was far better than the pain that I had walked into the clinic with. After the second treatment, my calf was numb, but there was still no pain. After the third treatment, I had a slight numbness in the toes of my right foot, but still no pain. With acupuncture and herbal medicine, the quality of my life has been improved substantially. I suffer from severe skin problems (Eczema and Psoriasis) and have gone to many doctors for the course of over a year and half and have had no success. No doctor knew what caused my skin to all of a sudden have the symptoms of constant itchiness, inflammation in my face and all over my body, redness and dryness that could not be treated with any topical prescription or over the counter "miracle cream and lotion" of any line sold in retail. I have spent a lot of money with medical prescriptions and possible moisturizing lotions and creams and have had no success. At times the products and drugs worsened my condition. It was ironic to me that no skin tests or experienced doctors at local hospitals could figure out what caused my skin to be so reactive. The worse part of it all is that I was told so many prescriptions would help treat my skin and none have done that for me. Over the span of about 18 months, I had tried drug prescriptions such as hydroxyzine, prendisone, allegra, zyrtec, and was consistently put on antibiotics for courses of over 30 days at times. All of these drugs treated part of the problem, but once I was off of them my condition flared up worse then before. I was drowsy in the mornings and sometimes all day. As a student at the University of Washington, my attendance was poor due to the way I felt and how dysfunctional the drugs left me. I took two leaves of absence from my work hoping I could figure things out, but no thing worked. I first came to see Dr. Wu for pain in my back and leg. I had back surgery for a ruptured disk in 1980, since that time have been subject to frequent spasms and cramps. The treatment was successful, and during this period, I learned that high blood pressure and diabetes could be treated with acupuncture and herbal medicine. I have been taking Atenenol for high blood pressure and Glyburide for diabetes. Dr. Wu began treatments for my high blood pressure with both acupuncture and herbal medicine. During the period of treatment, I cut my daily dose of Atenenol in half and monitored my blood pressure on a regular basis. I found that I was averaging 125/70, which I was very pleased with considering the reduction in the daily dosage. I had a problem with being unable to ejaculate. I kept on seeing several different doctors for many years, but without any success. Then someone referred me to Dr. Wu. After six months, my problem was cured, and now I have a lovely daughter. -G.F.
My right elbow was injured while at work typing around my lunch containers. The arm went limp. The Orthopedic and sports injury specialist told me following many visits including physical therapy that the only thing left was surgery. This meant removing the tendon's point of attachment to the bone, reattaching it, and then rehabilitation. I lost my Labor and Industries claim because after I declined surgery, he documented that there was nothing more he could do. At one point during treatment the doctor said, "It's only tendonitis." That "only tendonitis" injury slammed shut four years of my lifestyle. I couldn't get a half gallon of milk out of the fridge nor peel a banana without pain. Camping stopped because I couldn't lift. I couldn't canoe. No tennis. The first thing that impressed me about Dr. Michelle Wu was her concern over my injury. Her appointments were more like visiting with a friend than with a doctor. She was always extremely accommodating, making me as comfortable as possible. Finally, my injury was getting the attention that it craved. Her skill and caring were readily apparent. As cruel as life is, I re-injured it twice during my out of pocket acupuncture treatments by Dr. Wu. However, we stuck with it together and my elbow is healed and my lifestyle is back. In 1998, I was diagnosed with Fibromyalgia. Previously, I had been a very physically active young woman -- I participated in rollerblading, racquetball, aerobics, skiing, jogging, hiking, etc. For the last year these activities were forced to stop because pain in my back made simple tasks like making a bed nearly unbearable. My legs hurt so severely that even walking short distances left me in tears. Every morning I would wake up dreading the moment my feet would hit the floor, knowing the few steps into the bathroom would send unbearable pain through my legs. The pain became progressively worse and spread through other areas of my body. I began to gain weight and feel depressed. I have different experiences during treatment. Sometimes I fall deeply asleep. Often my body will be totally relaxed, yet will jerk suddenly when my qi begins to move. Other times it feels as though I'm almost in a trance, awake but strangely immobile. I always feel completely at ease and look forward to my treatments. I have so much hope of resuming many of the activities I love. When before I would wake up feeling as though I hadn't slept a wink, I now wake up renewed. I no longer feel the searing pain in my legs and back that used to reduce me to tears regularly. I cannot find the words to describe how much acupuncture has changed my outlook. Before I had lost all hope of ever becoming my old self. After only two weeks of Dr. Wu's treatments, my pain was reduced about 75%. After three months of regular visits, I rarely experienced any pain. I still have lower back pain occasionally but it is definitely manageable, and seeing Dr. Wu every four to eight weeks to keep it under control. In addition to the pain reduction, my body's immune system feels stronger than ever -- I rarely suffer colds and haven't had the flu since I began receiving acupuncture treatments. Prior to treatment with Michelle Wu, I had significant pains in my hip, back and down my leg. For more than 15 years, I was unable to sit or stand for very long without great pain. Because of the pain, my life was limited to very few activities. By the time I started treatment with Dr. Wu, most of my day was spent in bed. I was facing my third back surgery when a neurosurgeon suggested acupuncture. I was in a great deal of pain with lower back and leg. Walking up stairs was nearly impossible. Nothing was helping -- pills, pills, and more pills! I saw a chiropractor for 12 visits -- a big waste of time and money in my case. I had seen several doctors, but they felt my discs weren't bad enough to do surgery. The treatment didn't hurt at all. I felt no pain; in fact, it was almost restful. I felt better after the first treatment. After a couple months of treatment, I was better than I'd been in years. I have recommended Dr. Wu to a lot of people. It's just that one has to be ready to try anything sometimes. Acupuncture sounds strange to many Western people. I had severe Ménière's Syndrome for seven years. It was getting worse during the last two years. The vertigo with vomiting happened at least once or twice a month. Each time I had to take pills that my family doctor gave to me and lie in bed for a week or more. My daughter had horrible menstrual cramps. When she first started her period, she was cramping 24 hours a day. During this time she was in terrible pain -- she could not get out of bed, and tried to treat the cramps with heat and ibuprofen. She continued to cramp for four additional days during every cycle with pain so severe she could hardly walk. I took her to an OB/GYN who started her on birth control pills. After trying this for a two months, the cramping had only lessened slightly. Upon further consultation, the OB/GYN suggested beginning the ibuprofen 24 hours before starting her period and doubling the dosage. she was taking 400mg of ibuprofen every four hours for four or five days straight. I had severe migraines for more than 10 years. I had been seen famous doctors of both western and traditional medicine, but my migraines were still there, and getting worse every year. The dose of pain pills was getting higher. One day, the migraine recurred, so I went to the doctor to get some pain pills. I met Dr. Wu at that office, and she asked if I wanted to let her try to treat me. At the time, I didn't think she could help me, because she was very young. She looked like she had just graduated from school, but I thought maybe I would give her a try. It couldn't hurt, so I agreed. In November 2005, I decided to see Dr. Wu and try acupuncture. Like most people, I knew nothing about it and was very skeptical, not to mention my fear of needles. However, traditional medicine had labeled me hopeless and I had nothing to lose. I had recently been diagnosed with permanent, degenerative, and irreversible nerve damage as well as muscle damage to the rectal and pelvic area. Mt diagnosis also included permanent colostomy bad as my intestines could not function properly nor could they be fixed due to the nerve damage, so I was left with rectal and bladder incontinence, as well as extreme fatigue. I did my research and found Dr. Wu - her years of hands-on experience and early exposure to her field gave me reassurance that she would have the intuitive knowledge necessary for my case. So I prayed that God would guide her hands during the treatment and made my first appointment. The first visit was not what I had expected. My case was almost impossible; she told me herself, that given my diagnosis, she didn't think she could help me. I told her I was willing to give it a try. The needles didn't hurt more than a pinch, but almost immediately I started noticing changes. I didn't know if they were good or bad, but the fact that I felt anything at all was promising. She connected a small electrical current to a couple of needles; it sounds bad, yet it really expedited the results. I had three treatments per week for over a month. Then, 6 weeks and 3 days later, something happened and I felt more energized and knew something had happened. It takes anywhere from 6 weeks to 6 months for nerves to re-generate; I was sure that the process had started. I continued the visits, except the number of them was reduced to once a week. It took another month and I was able to eat wheat again - bread, noodles, etc. Two more months went by and I had a nerve/muscle test done. The results? They couldn't find any damage whatsoever to either nerve or muscle! I am now scheduled for surgery, and the results are promising given there is no nerve damage or lack of muscle function. I have a better understanding of acupuncture now. It isn't suppose to replace all of traditional medicine, but to work with it. Acupuncture deals with 'channels' in the body and their relationships; they have to be in harmony for the body to function properly. It's like thinking about proper circulation to aid in healing; the more blood flow to an affected area, the quicker it will heal. This is why heat applied to wounds, infrared lights applied to scars, etc. are used in traditional medicine. In my case, I think the needles allowed the blocked channel to connect with each other (improving circulation to the affected sites and stimulating the nerves). Fortunately for me, the nerve damage was not permanent, degenerative, and irreversible; however, traditional medicine had no means of helping with that. I think the two should be used together; that is, try acupuncture and continue with your regular doctor. Your case might be more treatable after a few acupuncture sessions. As you might understand, due to the nature of my condition, I don't want my real name to be used in this testimonial. I am in contact with the general public and do not want my medical condition to be an issue in any situation, so I've chosen to remain anonymous. I hope my testimonial will help you make your decision. Not all acupuncturists are the same; Dr. Wu is the only one I've known and of course, I think she's exceptional - one of a kind. She was an answer to prayers. I recommend her to anyone seeking relief of any kind, but especially those with muscle and nerve problems. I have had Plantar Fasciitis in both feet. Treatment was initially rest, custom orthotics, and cortisone shots (two in each foot). The doctor warned that if there was no improvement, I might need surgery. With the onset of pre-menopause in 1998, I suffered from migraine headaches. With every year that passed, the headaches became more frequent and more severe. I had to stay home from work for several days because the pain had become debilitating. These headaches would last as long as 2-3 weeks. I had been prescribed high doses of Ibuprofin, Execerdrin, and Maxalt MLT. These are painkillers would only make the headaches more tolerable, but did not prevent their occurrence. If I was not quick enough to recognize the onset of the migraine, I was paralyzed with pain. A second affliction of my pre-menopause has been my inability to sleep at night, which often led to headaches the following day. My physician prescribed Trazadone to help me sleep. In the last six months, I have gone from taking 1/2 pill to two pills every night, and I still had occasionally difficulty sleeping. I had trigeminal neuralgia for more than three years. I was always nervous when washing my face, because sometimes even a slight touch of the face with a finger could trigger the sharp pain from my nose and cheek up to my left eye. The pain was so sharp it would literally bring me to my knees. I have periodically had vertigo all my life. It got worse as an adult. For the past 14 years, when I had bouts of vertigo I used medicine to treat it, but the dizziness would always return. Mostly I had positional vertigo; I'd get dizzy when I changed position, moved my head quickly or bent over. I had to hold my head straight when I bent or changed position to try and not get dizzy. I also had "cyclone" vertigo, where the whole room would spin, and I would have to spend several days flat on my back until the bout ran its course.